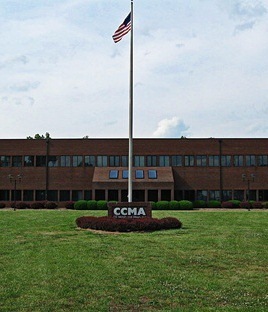 Founded in 1949 and headquartered in Calvert City, KY, CC Metals & Alloys (CCMA) is a leading producer and supplier of high-grade ferrosilicon alloys, elements essential in the manufacturing of iron and steel. CCMA’s 400,000 square foot, ISO 9001 certified facility utilizes three submerged arc electric furnaces, which operate around-the-clock, to produce over 100,000 metric tons of various types of ferrosilicons. The company offers over 35 competitively priced products including 18 different ferrosilicons and more than 20 different magnesium ferrosilicon inoculants, which are crushed and sized on-site to meet its clients’ exact specifications. CCMA’s products are distributed to steel manufacturers located throughout North and South America. CCMA is a wholly-owned subsidiary of Miami-based Georgian American Alloys, Inc. Since it began operations more than 60 years ago, CC Metals & Alloys’ precise focus on quality and customer service has helped it become North America’s leading provider of high-purity ferrosilicon to customers in the steel, foundry and welding rod industries. As a supplier of specialty ferroalloys, CCMA’s internationally recognized, ISO 9001 certified manufacturing facility is managed to be highly flexible, providing the company with the unique ability to vary its product mix according to market demand and client needs. Functioning in this manner ensures the company is well positioned to fill and ship orders quickly and efficiently. CCMA currently offers over 35 competitively priced products at various grades and levels of purity, providing its customers with unmatched convenience and purchasing power. All of the company’s products are crushed and sized on-site to meet its clients’ exact specifications, and can be transported via barge, rail or truck from its facility in Calvert City, KY.
CCMA’s alloys are critical components in the production of a wide range of industrial and consumer products including home furnishings (e.g. tubs, sinks and other bath fixtures), automobile parts, bridges, machinery, buildings, concrete, welding rods and agricultural equipment.